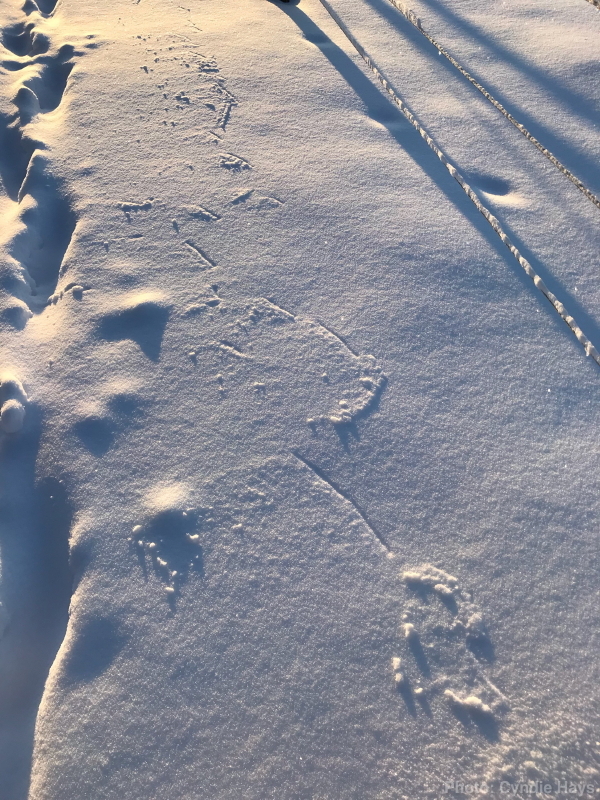 When I first saw this image that Cyndie captured, I struggled to imagine what could have made these intriguing tracks in the snow. The alternating diagonal slices in the snow had me thinking of a large bird of prey dragging its talons as it “ran” across the surface while taking off. Seemed like there should also be evidence of flapping wings, too. There wasn’t. Closer review led to a much less dramatic, but still rather surprising cause. 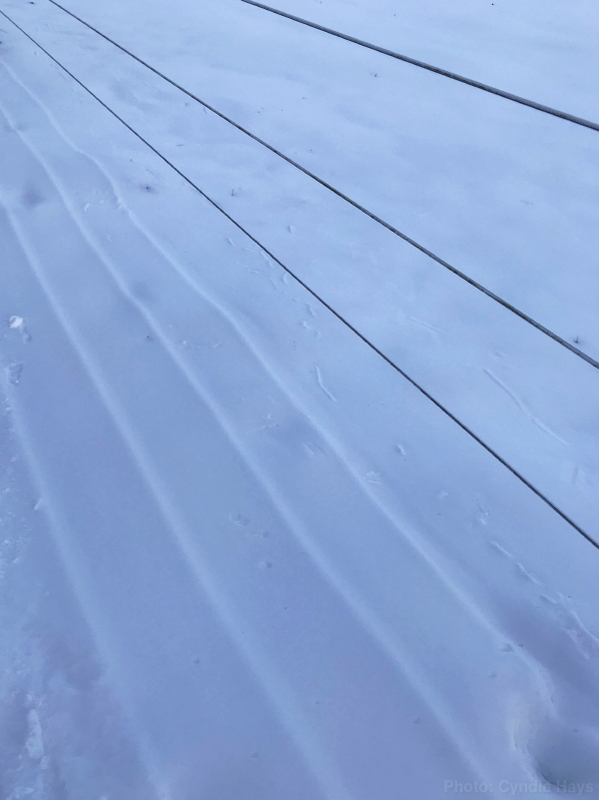 The snow that had stuck to the wires of our fence was blowing off in long chunks and creating the lines on the surface below. I wouldn’t have been able to create that artwork if I tried. Oh, but nature wasn’t done creating. In an evening walk, Cyndie took one more picture of the fence wires. 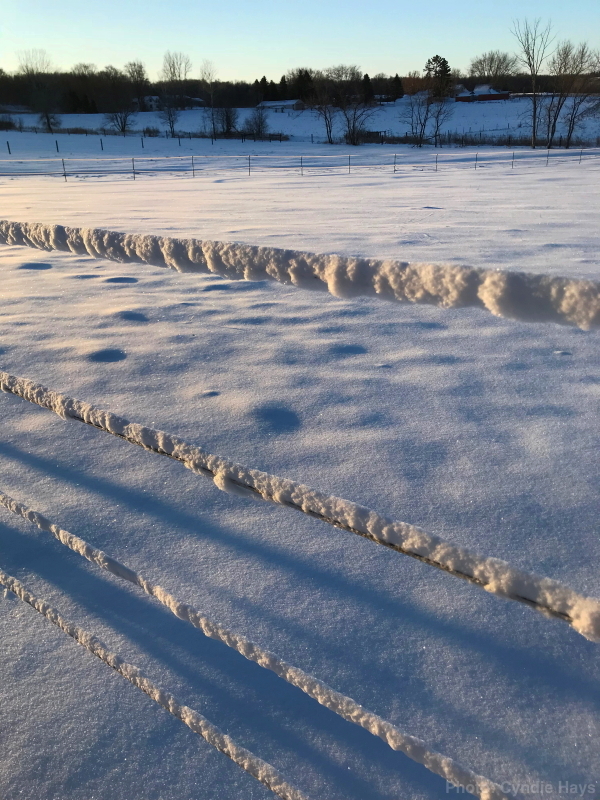 Once again, the shadow of the wires was having a visible influence on the melting of the snow beneath the bright April sunshine. Many thanks to Cyndie for her keen eye and crafty image captures!